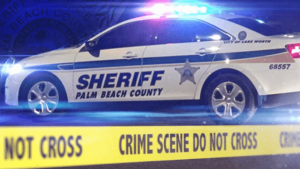 Horrific Boynton Beach Crash Kills Three Kids And Leaves Several Injured | Schuler, Halvorson, Weisser, Zoeller & Overbeck P.A. Seven members of a Palm Beach County family, including three children, were killed in a crash on a Boynton Beach highway, according to police and the Florida Highway Patrol. The four adults who were in the vehicle were all taken to a hospital in Delray Beach with serious, non-life-threatening injuries, news outlets reported. Florida Highway Patrol said they didn’t immediately know the ages of the three children or what part of Palm Beach County the family is from. The crash occurred on Route 1 in Boynton Beach. FHP said, that a southbound pickup truck crossed the median and struck a northbound passenger car. The Post reported the victims were a 61-year-old man, his 41-year old wife, her sister and his three children ages 13 to 17. FHP said, the car came to rest on the median, while the pickup truck continued to travel southbound in the northbound lanes and was hit by a minivan carrying the Palm Beach County family. The three occupants of the pickup truck were taken to a hospital with non-life-threatening injuries. Photographs from the scene showed a blue tarp covering a white passenger vehicle with massive front-end-damage. The vehicle’s roof appeared to have been cut off by rescue workers and was lying upside down on the ground nearby. A few feet away was a maroon extended-cab pickup truck, which appeared to be a commercial vehicle, with its passenger side caved in. The Palm Beach County Collison Reconstruction Unit is still investigating the cause of the crash.